Earlier this afternoon I made a quick visit to Great Yarmouth to see what was lurking about! 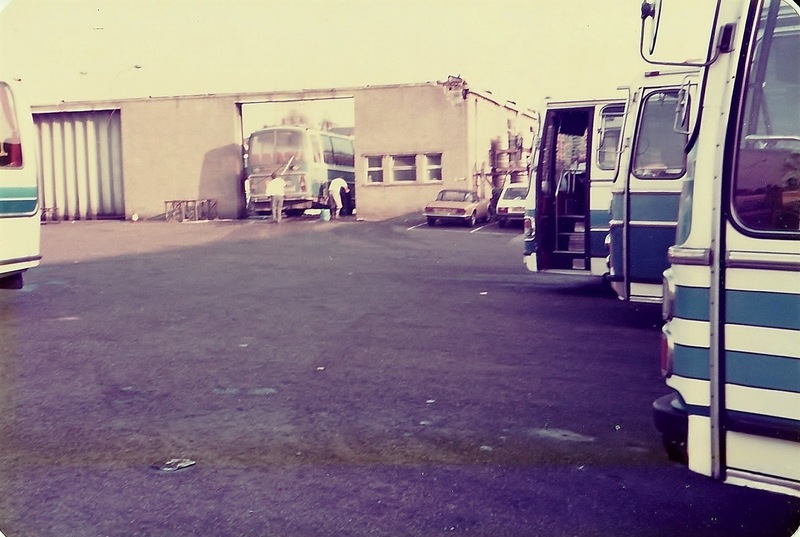 My first observation was that of a Shearings Holidays Setra parked up on Marine Parade. BK10EJN (fleet number 209) was noted outside the SeaLife Centre. I continued on to Beach Coach Station to witness the Bernard Matthews contract workings. No sooner had I arrived then National Holidays Setra NH14FBH passed me empty heading southbound along Nelson Road North. 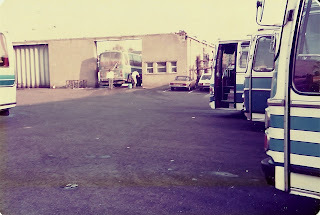 The coach lay over area at Eastern Counties former Wellington Road Bus Station could often be relied upon to provide the odd surprise or two. And so it was on on 15th June 1984 when an Eastern National Leyland National was seen in the form of MHJ732V. It had worked the Fridays only 815 Highwayman service leaving Harwich at 08:45 that morning. What an 'pleasantly interesting' journey for passengers that must have been! 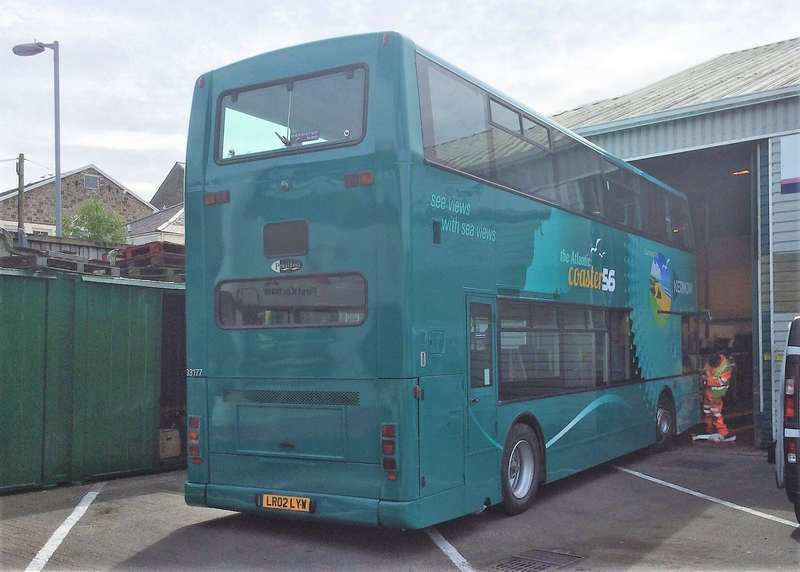 Yesterday BorderBus took delivery of another double deck demonstrator bus for evaluation purposes. Alexander Dennis Enviro400 City SN66 WLK is the third demonstrator the Beccles operator has trialled in the last seven months. SN66WLK, which was displayed at the Euro Bus Expo 2016 exhibition at Birmingham's NEC, was out in service today on the BorderBus 146 route between Norwich and Southwold and I got some photos of it at Beccles earlier this morning. 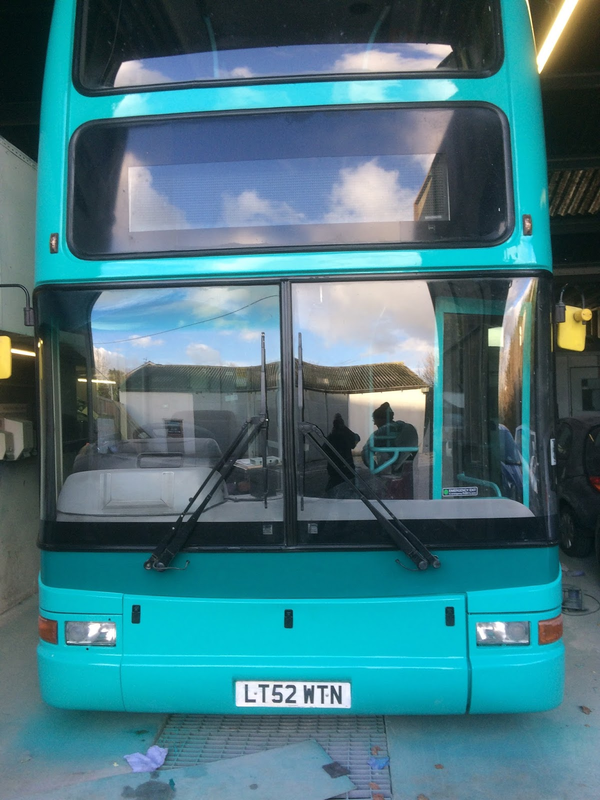 The vehicle retains the main features of the Enviro400 with a raked, wrap-round driver’s windscreen with the wipers recessed at the top. Additionally it has a stylish glazed stairwell plus a shallow upper deck windscreen which, combined with other design features, significantly reduces 'solar gain' in warm weather. The Enviro400 City is powered by a 6.7 litre Euro6 Cummins engine and is lighter and more fuel-efficient than other double-deck vehicles in its class. It also has a glazed sunroof, coach-style high-backed leather seating as well as USB power sockets. 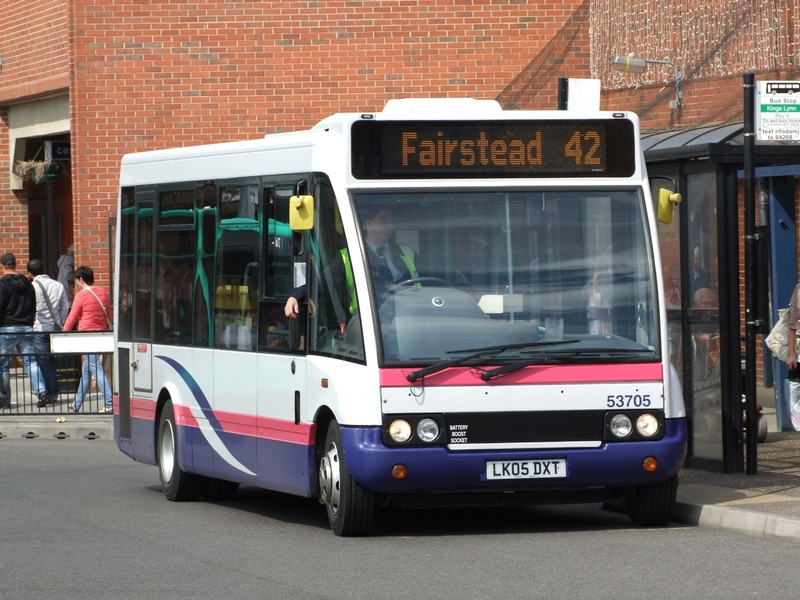 The Eastern Traffic Commissioner's Notices and Proceeding Report, affecting local bus services in our area, was published earlier this morning. The Konectbus website states that from Sunday 12 March 2017 there are to be significant service changes across the Konectbus network affecting local routes 7, 51, 52, 53 and 73. New Konectbus 5 combines the Konectbus 7 and 53. 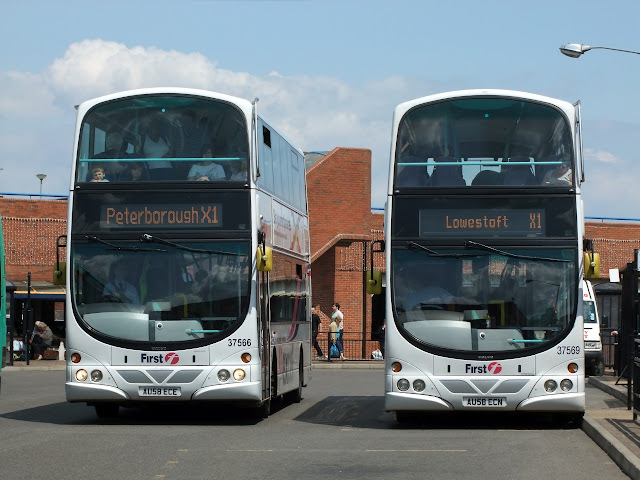 There will be a 15 minute frequency between Postwick, Yarmouth Road and Norwich with additional routes (Konectbus 5A /5B/5C) serving Yarmouth Road giving seven buses an hour. 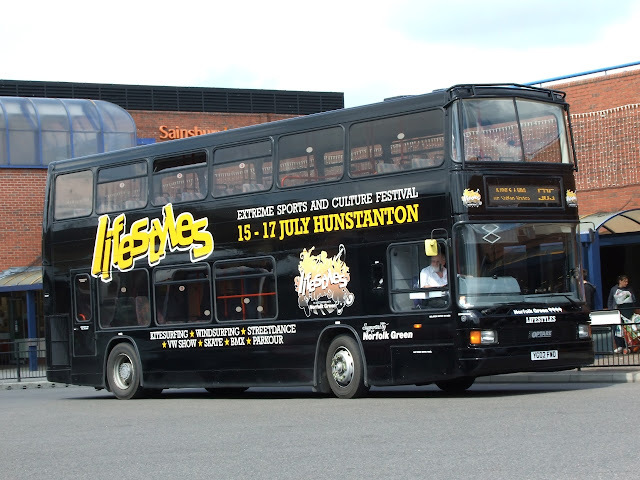 New Konectbus 5A replaces service 52 with some minor timetable changes with Konectbus 5C providing additional services from/to Pilson Green and South Walsham. Replaced by Konectbus 5C . 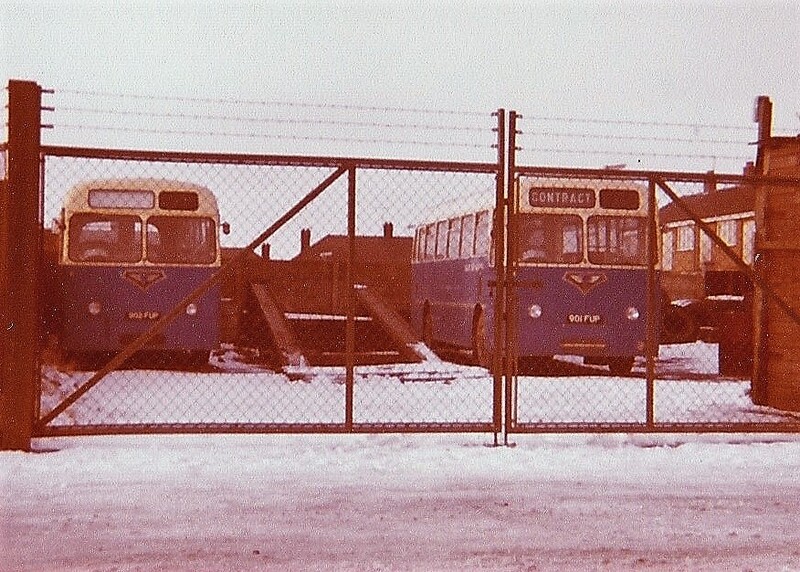 Replaced by Konectbus 5A . Replaced by Konectbus 5B/5C (Horning/Plumsteads - Dussindale - Norwich) and Konectbus 5 (Queen's Hills - Norwich) . 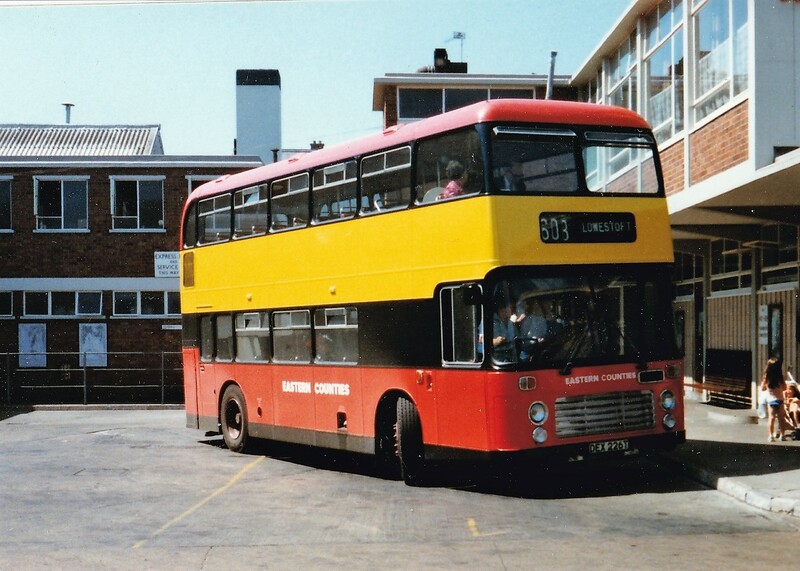 The photo was taken sometime during the summer of 1986 and shows DEX226T in an experimental livery being considered to replace the NBC poppy red. It was delivered new to Eastern Counties in February 1979 as VR226 with an H43/31F Eastern Coach Works body. 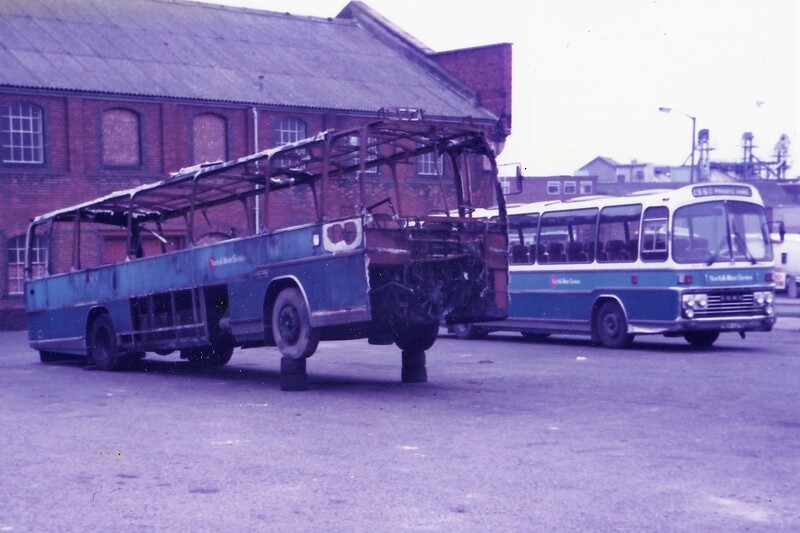 It lasted in service until 1998 when it was sent to Wigley (dealer) of Carlton for scrapping. Following hard on the heels of the conversion of Plaxton President bodied Volvo B7TL 32207 (LT52WTN), sister 32202 (LT52WTG) has also received the same treatment. My thanks again are due to First South West Business Director Marc MorganHuws for the information and for supplying the photo. 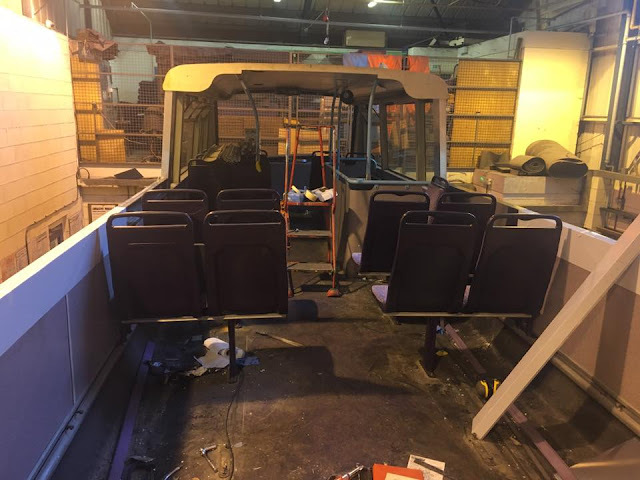 Service Alterations Registered ~ 18th January 2017 ... And More!! However, a recent query of the Government's Vehicle Operating Licensing site has revealed the cancellation of a number of services operated by Konectbus in the Great Yarmouth and Norwich areas including the 7 Caister to Norwich Bus Station service, operating via Great Yarmouth's Market Gates and Norwich's Postwick Park & Ride. This tactical withdrawal leaves First as the only operator along the Great Yarmouth to Norwich corridor after the 12th March 2017. 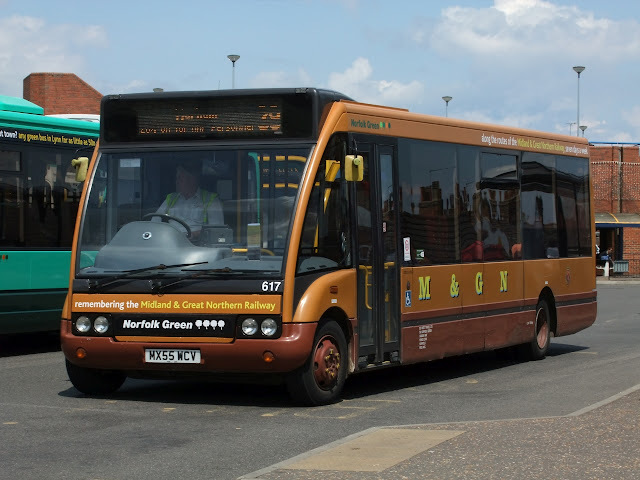 The Dereham operator is also to cease running the 52 Acle to Cringleford and the 73 Norwich St Stephen's Street to Caister services from the same date. 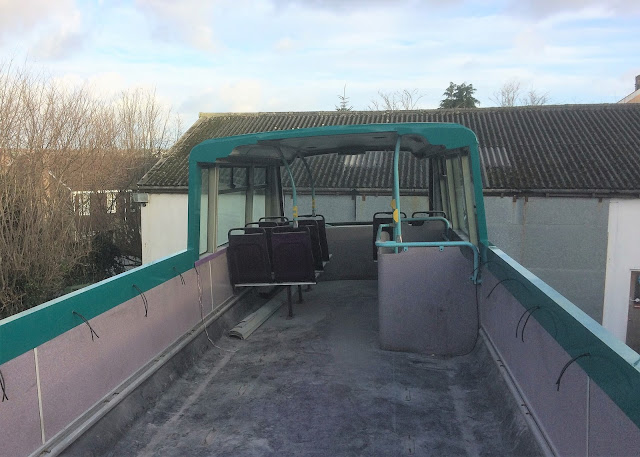 Following Saturday's post concerning the conversion of a former First Great Yarmouth President into an open-topper, I have been provided with more information by Marc MorganHuws who is the Business Director for First South West. 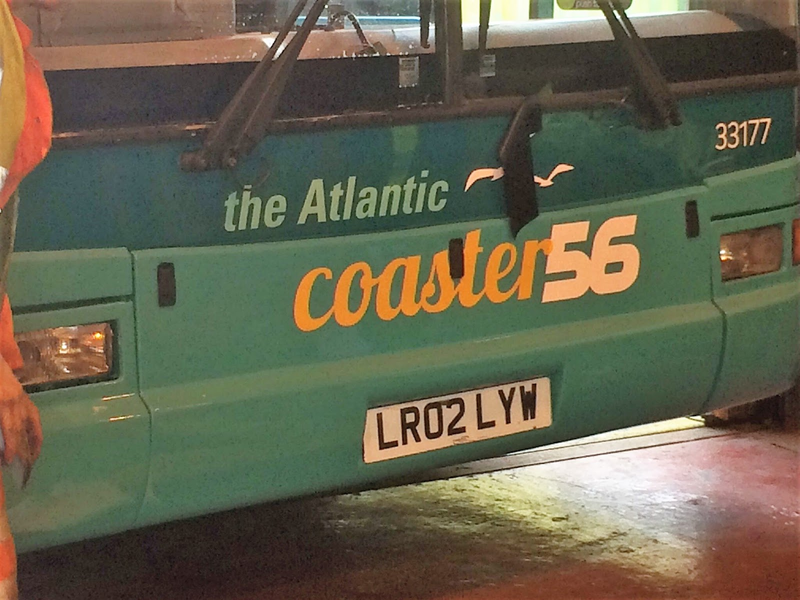 He tells me that 32207 (LT52WTN) will be one of nine such buses specially converted for use on four Atlantic Coaster routes. These are the all year round Service 1 between Penzance and Lands End plus the 17 connecting Boscaswell and St Ives. 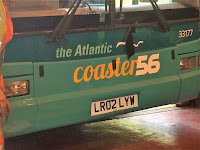 The other two are the 57 from Newquay to St Ives and the 300 St Ives to Lands End seasonal routes. 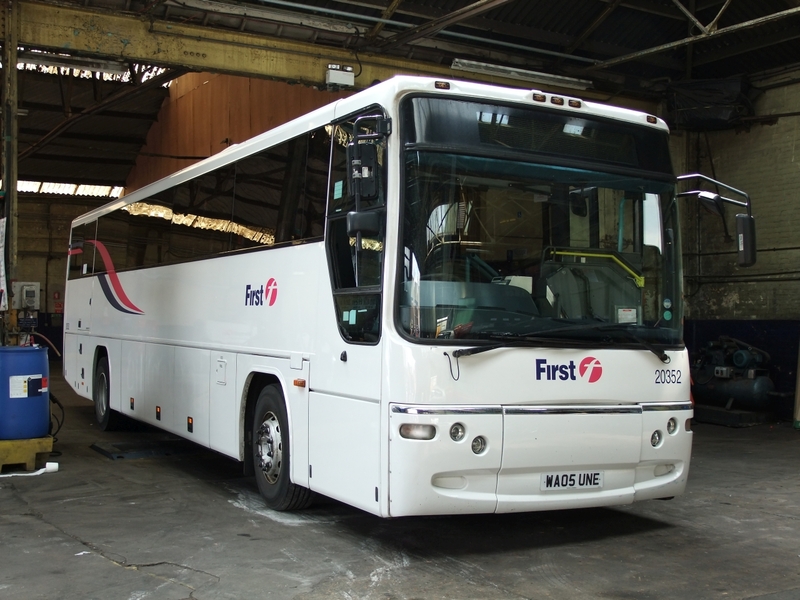 Marc has also provided additional photos which may be of interest including a couple showing what the new livery will look like. The above photo shows the final livery on one of the closed toppers 33177 (LR02LYW) and also provided is a picture of what the front looks like as well. Finally I would like to express my thanks to Marc MorganHuws for his help with this article and for the supply of photos. 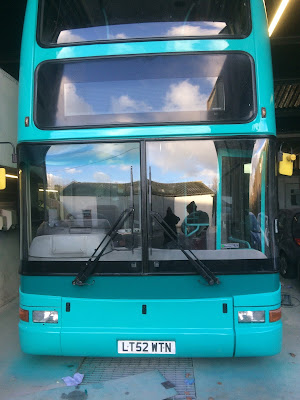 The above photos, showing the conversion, were uploaded to Facebook in early December and yesterday the company went public on the new colour scheme although no hint of the branding yet! 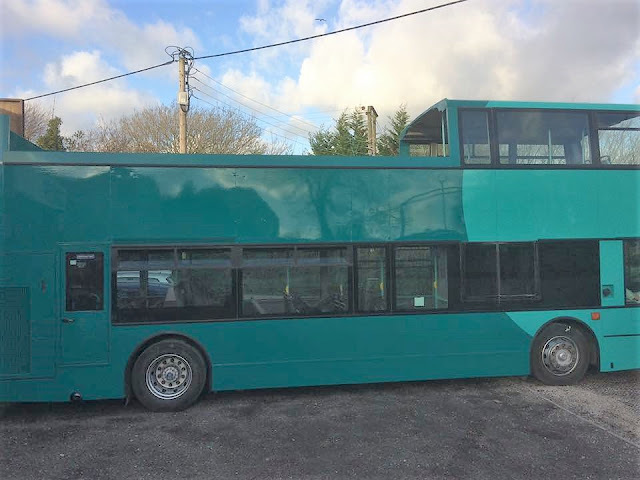 It looks like a two tone green livery which I must say looks similar to a variation of the Arriva colour scheme! Subsequent to my posting of the 14th November 2016, regarding the passing of Norfolk Motor Services (NMS) owner Alfred Blackbourn, further information has come to light on the history of the company. 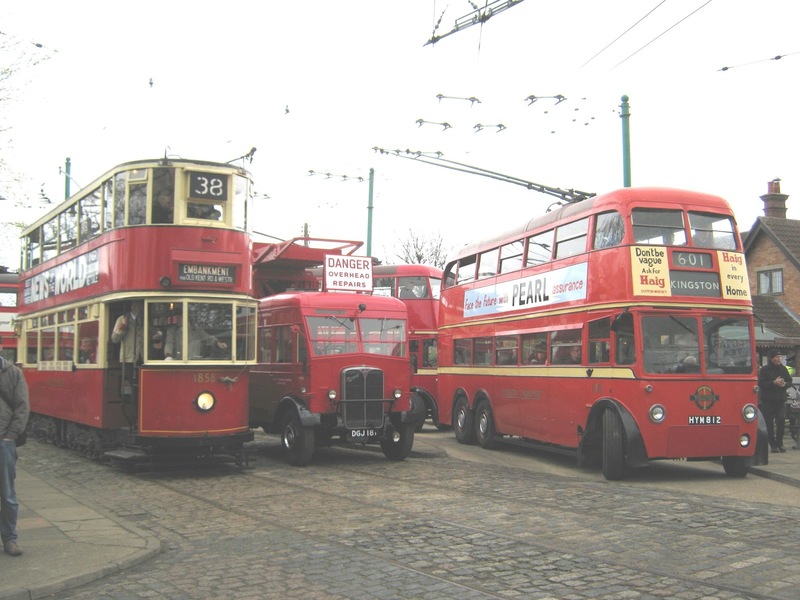 The January 2017 issue of the Ipswich Transport Society Journal reports that the move of Alfred and his father to Great Yarmouth in 1946 led to them buying the Norfolk Motor Services business. It was acquired from Robert Potter who established the firm at Cobbs Place off Middle Market Road during 1925. The Norfolk Motor Services' Fullers Hill site on 25th March 1985 with two Plaxton bodied Ford R1114's present. 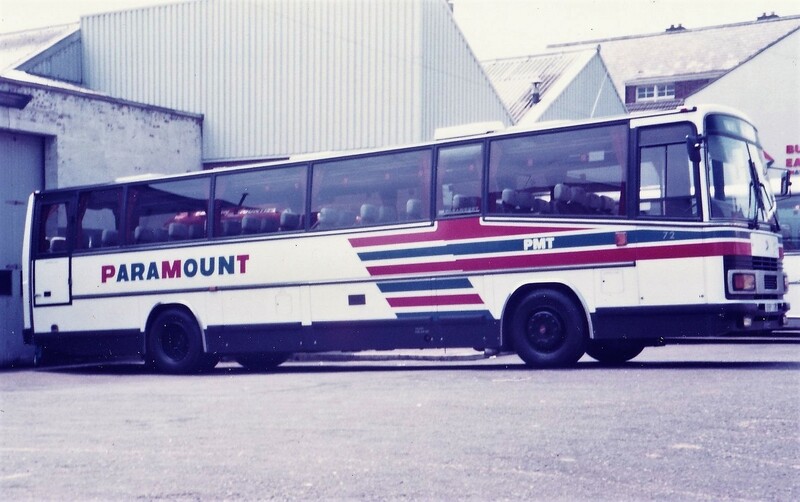 Norfolk Motor Services later passed to the Diamond Jersey Group which ceased in March 1985 following a fire at the Fullers Hill premises the previous summer. However, the successful UK and Continental holiday tours business, Sunrise Holidays, was sold to Norwich Travel agents Sterling Holidays. The tour business continues today with Ambassador's coaches regularly seen sporting Sunrise Holidays branding. 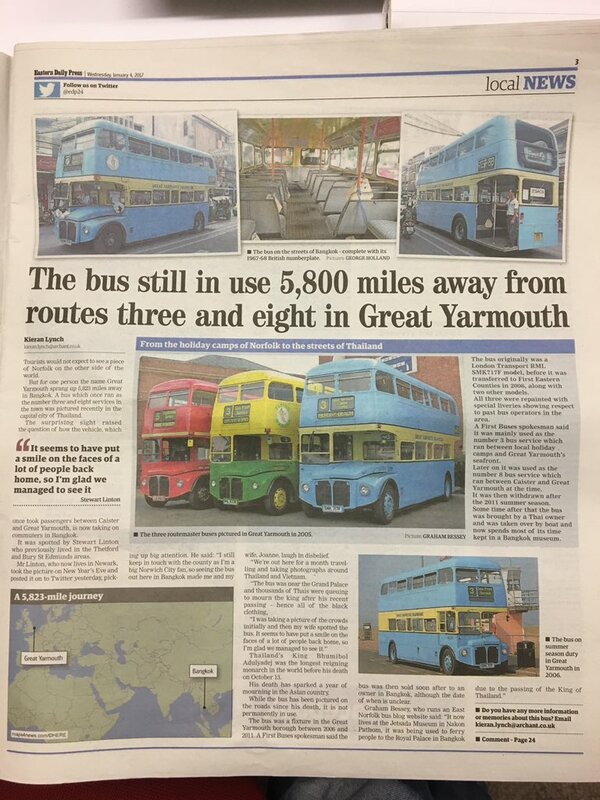 Three posts earlier I highlighted the fact that Alexander ALX400 bodied Volvo B7TLs 30887 (W742DWX) and 30902 (W757DWX) had moved from Lowestoft to Great Yarmouth at the year end for contract work as they are no longer DDA compliant. I went in search for one or both of them again earlier this afternoon. There I was standing on Nelson Road North in the drizzling rain hoping an appearance would be made on the Bernard Matthews workings but alas no show by either with unbranded Wright Gemini 37562 (FJ08FYN) leading the show. The other two were ex First Leicester ALX400s. On my return home, I decided to look in on Caister Road depot's rear yard and I could see a decker peeping over the wall. Yes it was W742DWX, which was keeping company with Plaxton Paragon 20500 (AO02RBX). I have it on good authority that both 30887 and 30902 are living on borrowed time now with a one way journey expected very soon! Around this time every year I undertake a cull of magazines acquired over the past twelve months with the aim of moving them on to a neighbour or local groups associated with buses and railways. This year the task is a little more onerous as in October we had some fitted wardrobes installed leading to the discovery of 'mountains' of others I hadn't tackled previously! 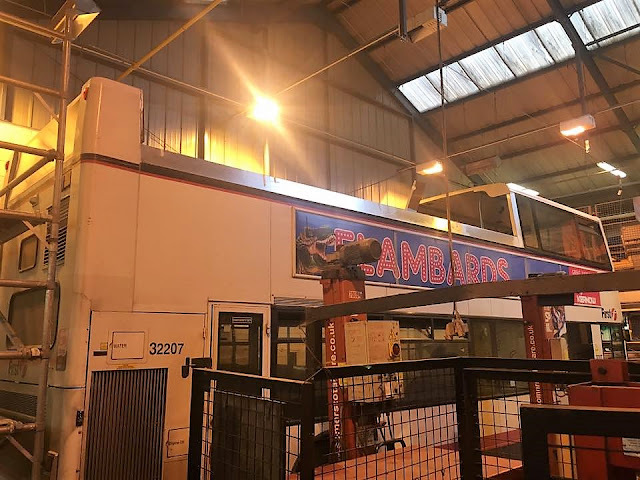 'Now the largest coaching firm in Great Yarmouth, it was started 25 years ago by Maddison and Mays at Cobholm with two small coaches (incidentally Caroline Coaches was named after Mr Maddison's daughter) By the acquisition of Lake of Halvergate in 1955 the fleet rose to six. Growth was gradual over the next twenty years until associate Mascot-Seagull Limited was formed which incorporated all the well known fleets in the resort i.e Hayletts 'Felix' and Sayers 'Grangeway' Coaches. 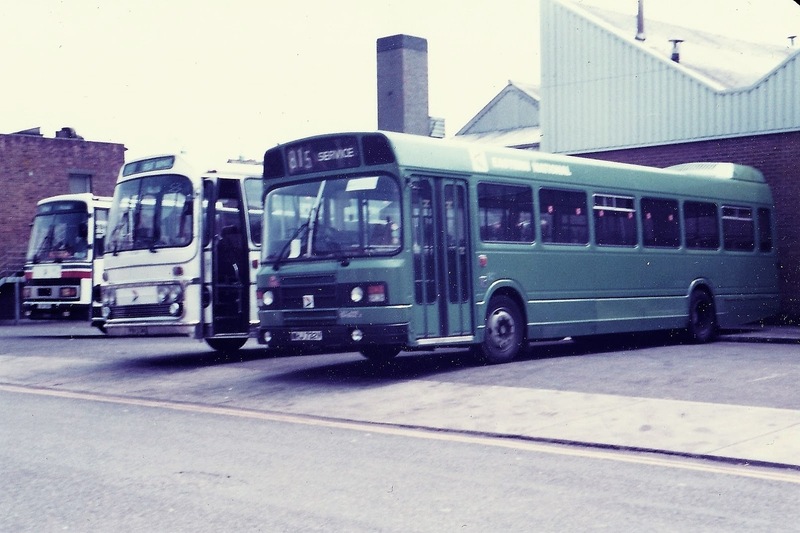 Since 1977 the fleet had been incorporated into one unit. 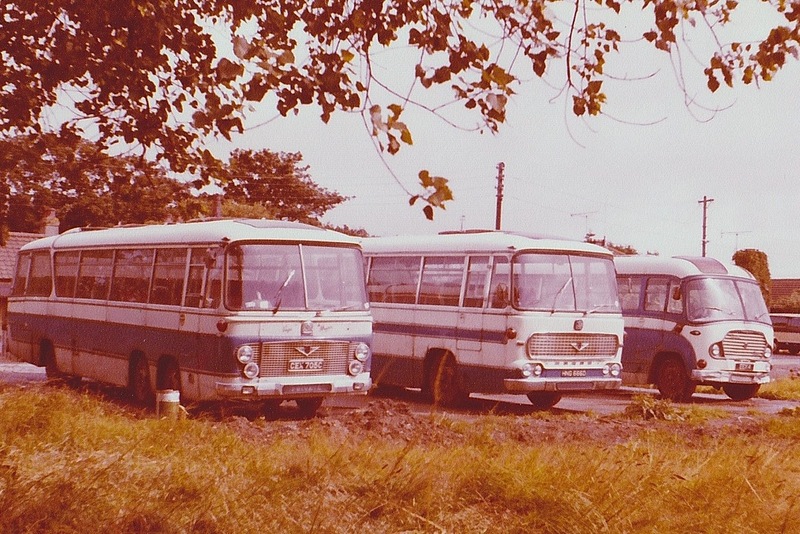 Between 1964 and 1976 double deckers were to be found in the fleet including. 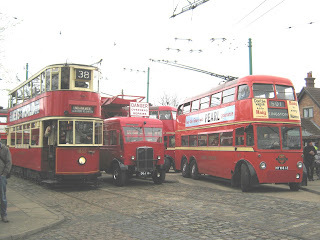 a London RTL, a Crossville LD and two Oxford Lolines (I often remember the last two being on hire to 'Counties' for a summer season often seen on standby on the St Peter's Road parking area). As for Terminus, it was in A4 format then and must have taken editor Mick Capon ages to type and set out which he undertook for a number of years. 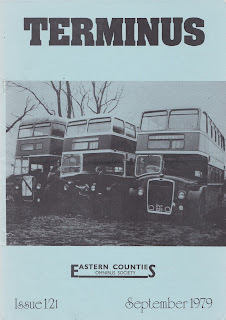 Mick continues his interest in buses on our local patch and keeps up to date by reading our blog in North Carolina. My thanks to Mick for all the efforts in putting together those issues of Terminus and hope we are now paying back all your hard work! 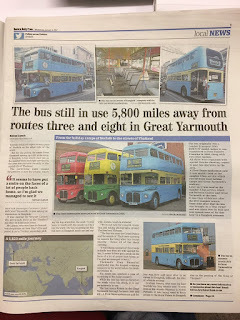 With the local newspaper observing a tweet featuring a former Great Yarmouth bus, Grahame contacted the the Eastern Daily Press providing more details and a photo. It also provided the opportunity to give the blog a plug which Grahame duly did! However, as is normal with the press they print what they thought they heard and not what is fact - even if you do provide a press release! 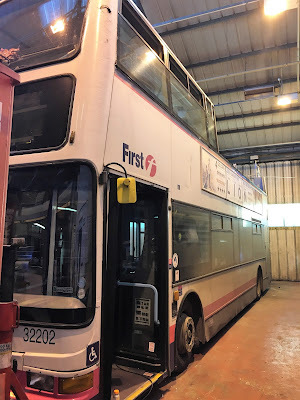 With Grahame reporting that Alexander ALX400 bodied Volvo B7TLs 30887 (W742DWX) and 30902 (W757DWX) transferring from Lowestoft to Great Yarmouth at the year end for contract work, I thought I would attempt to see if they were on the Bernard Matthews' run today. Seems hard to believe that 2011 is now six years ago,i remember this day out like it was only a few weeks ago. The Saturday in June 2011 was the last day of First's town operations in Kings Lynn leaving only the X1 service continuing the company presence in the West Norfolk town. Optare Solo 53705 LK05DXT working town service 42. The main town fleet for First was made up of a batch of short wheelbase Optare Solos transferred from First London, these have since moved to various other depots within First. A few ex Scottish Scanias also were allocated here plus ALX400's originally from Bradford. Norfolk Green would take over all the town services and later become part of the Stagecoach group, they ran a very mixed fleet in 2006 with Optare Solo, Versa & Tempo making up the single deck fleet along with Agoralines purchased from Norfolk County Council whilst the double deck fleet was also Optare filled with a batch aquired from Reading Buses. 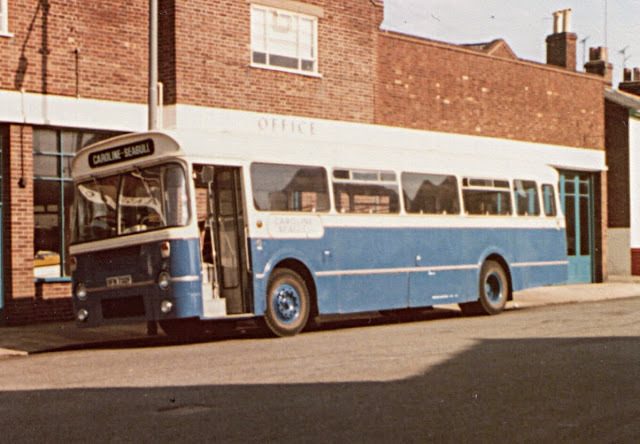 First still remain part of the Bus community in Kings Lynn working the X1 service now between Norwich and Peterborough, the scenery very different today with the livery of Stagecoach now very prominent along with newly installed independent Lynxbus. A Very Happy New Year to everyone and especially to Roy who keeps this well oiled blog running and i will do my best to keep things rolling along also with my contributions.